I think that 5 foundation brushes is a substantial amount, right? 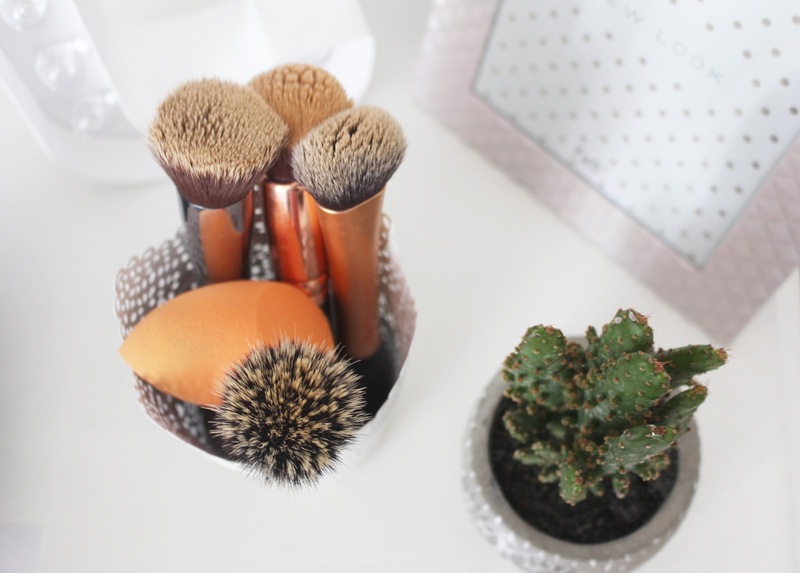 So I thought that it was about time I reviewed each one in case any of you beauty lovers out there were on the look out for a new foundation brush/sponge. I own two brushes and one sponge from Real Techniques, one brush from Sigma and one brush from Zoeva. Both Sigma and Zoeva ship to the UK, but Cult Beauty and Beauty Bay are UK stockists. This is my most recent purchase to my foundation 'brush' family and I love it! I totally get all the hype over this product, as it blends your foundation out seamlessly and doesn't leave any streaks (like some foundation brushes can..) which is amazing. 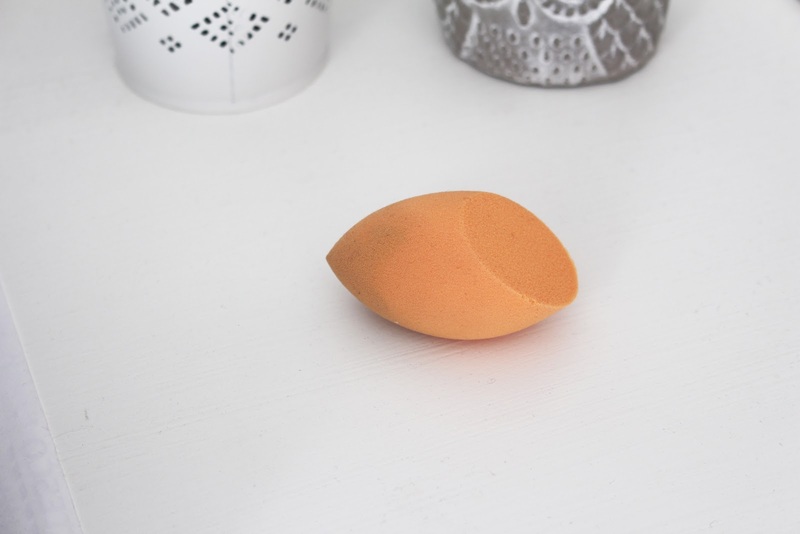 The only negative to this product is that because it is a sponge it does obviously soak up a little bit of the foundation, so you would have to apply a little more than you normally would when using this little guy to apply it with. This sponge also doesn't leave you looking 'cakey' so is great for those 'natural' looking days. I normally use this foundation brush for everyday use as it's super quick and easy. It's quite a small brush so you have more control over where you place and blend out your foundation to. It's also quite easy to get into the nooks and cranny's (i.e. round the nose, under the eyes, around the eyebrows) with due to it's size, so you'll never look 'patchy' when using this brush. The price of this brush is a bargain as well. I'm really not a huuuge fan of stippling brushes, I feel they're a bit streaky and leave strokes of where you have applied the foundation. I really don't use this one much at all so it's not really one I would recommend. However, if you like stippling brushes then definitely go for it (especially as it's pink). It is a good quality brush and I would use it regularly if I enjoyed using stippling brushes. 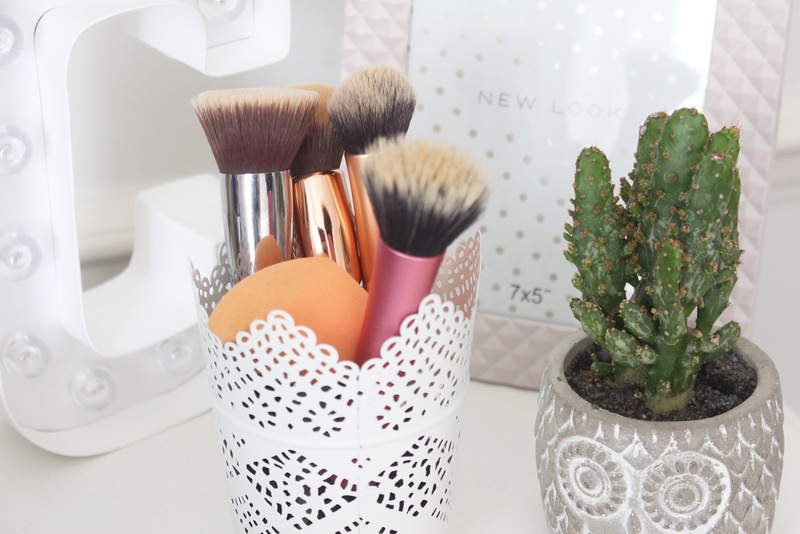 I believe this was the first foundation brush I ever purchased and I was definitely influenced by YouTuber's such as Jaclyn Hill, Chloe Morello and Lauren Curtis. 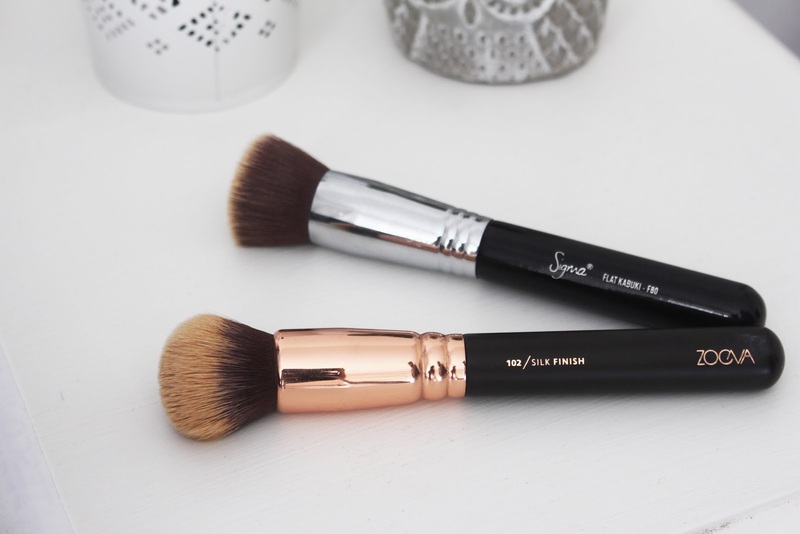 Sigma brushes are such great value for money I think and I love how this brush buffs the product into your skin seamlessly and doesn't pinch any of your foundation in doing so. It's definitely best to apply your foundation using this brush in circular pressing motions to achieve the best result. 100% recommend this brush! I would say that this foundation brush is fairly similar to the Sigma Kabuki Brush in the way that you would apply your foundation with it (in circular motions) however, I wouldn't say that you would have to use pressure as this brush is much more rounded so you wouldn't necessarily need to 'buff' it into the skin. It's super soft so it's an enjoyable experience to use this brush and again, this does not leave streaks of foundation - due to the dome shape. I would say that my staple foundation brush would have to be the Expert Face Brush by Real Techniques, as this seems to be the brush that I reach for more often than the others. I hope this little review post has helped you out if you are on the hunt for a new foundation brush! I also definitely wouldn't say that you need 5 foundation brushes, but it is handy when it comes to washing them (unfortunately, I didn't think about washing mine before taking photo's so I do apologise that they look a little gross) as you can have them on rotate. I love the Real Techniques Complexion sponge, it gives such a flawless look! I love the Real Techniques Buffing brush for foundation but I really want to try their complexion sponge! Great post! I used to be exclusively a Buffing Brush girl, then I tried the Miracle Sponge and it blew me away, I haven't used a brush since. It does pick up a little product, but not nearly as much as I was expecting. 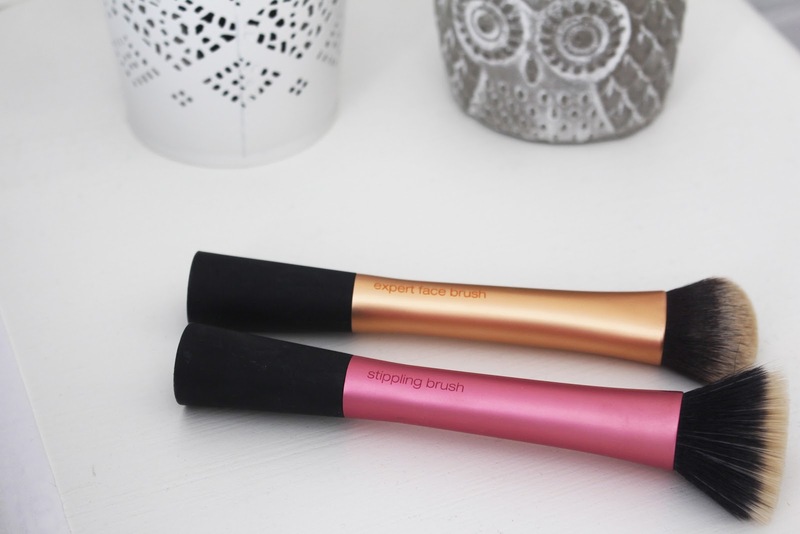 The RT complexion sponge is a fab little tool - I tend to use my RT stippling brush for blusher, honestly you should give it a go!